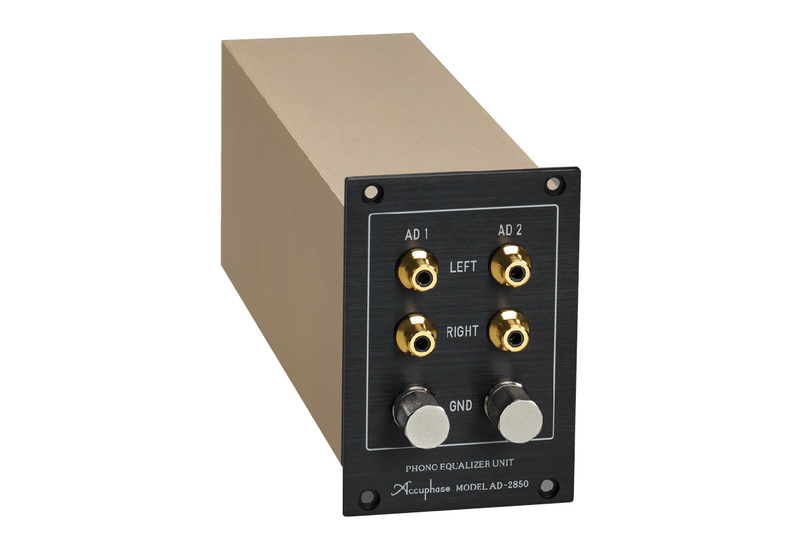 AD-2850 is the dedicated phono equalizer unit. Analog records can be reproduced with high quality by installing AD-2850 in a rear-panel slot. The AD-2850 features separate input circuitry for MC and MM cartridges to ensure optimum matching and realize outstanding S/N ratio. 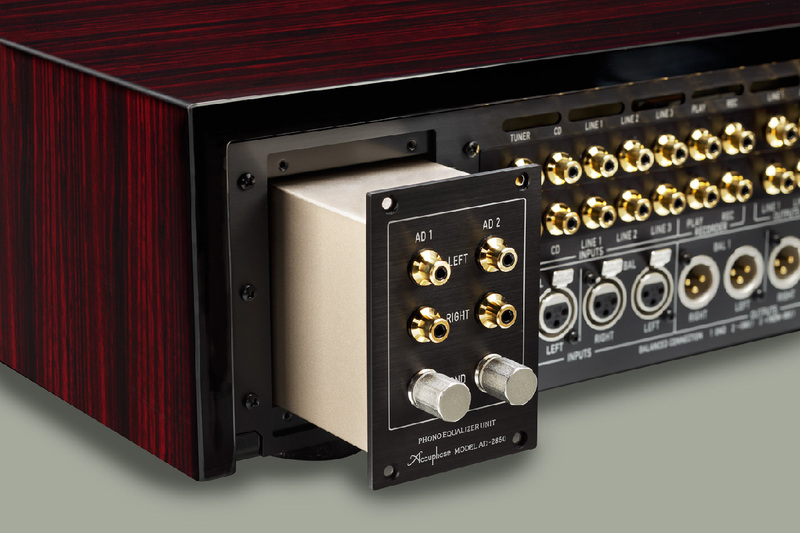 2 sets of analog-player input jacks, the AD1 and AD2 are equipped, and their selections are switchable with the INPUT selector of pre-amplifiers. Differential amplifier circuit with ultra low noise bipolar-transistors for MC cartridges. Differential amplifier circuit with ultra low noise junction-FET for MM cartridges. Differential RIAA equalizer circuit is designed to provide super accurate RIAA equalization characteristics. MC Load settings are selectable from among 4 values “10Ω/30Ω/100Ω/300Ω”. The input impedance for both MM settings is 47kΩ. Storing separate MC Load and/or AD GAIN settings for each installed AD input (AD1 and/or AD2) is available, and it enables the smooth switching of 2 kinds of analog players or tone arms. The printed circuits are made from glass cloth fluorocarbon resin.